I always blog about the items Ethan brings home from nursery and our Easter gifts were no exception. Shortly after I blogged about Ethan’s Easter gifts we received an email asking if we would like to write about why this card was so important to me to feature in Paper Crafter. 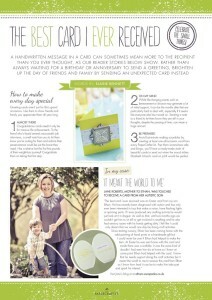 I was happy too and on Tuesday we received an email containing our feature. 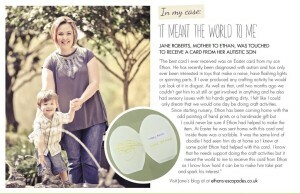 I’m so proud that we were approached for this feature as crafting doesn’t come naturally to Ethan. 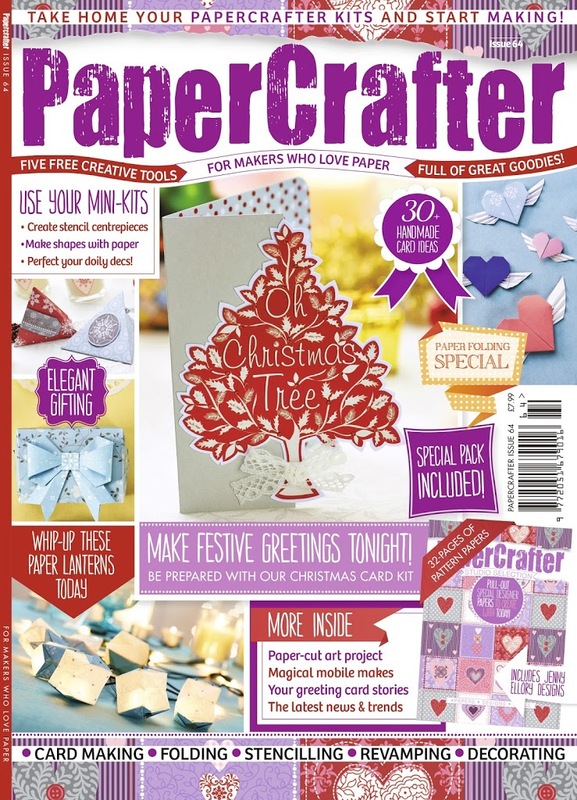 We received a copy of Paper Crafter in the post today and it comes with some lovely items to make Christmas cards and decorations. 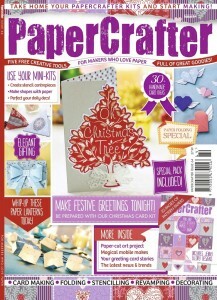 You can find out about Paper Crafter HERE and you will be able to purchase it from tomorrow. Jane that’s wonderful! I got tears in my eyes reading this. It’s beautiful, both the magazine and the cards. so lovely!!!! 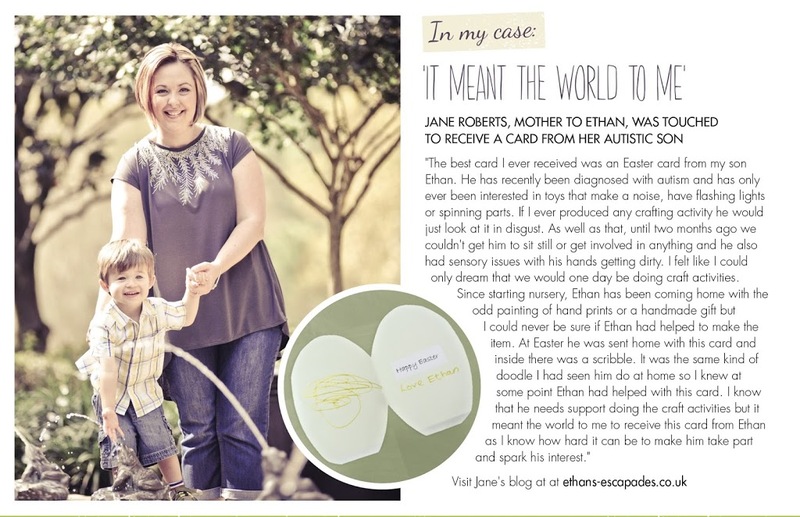 well done to ethan, and that is such a special card and article to treasure for the future!